nice vid! hint: she loves is. and i have to say, it looks AWESOME on the road. Have you seen one on the road? not yet, no. they've only been on sale a couple of weeks in this area! I saw one in person at the Phipps Plaza mall in Atlanta a few weeks ago. It certainly is eye catching in that setting - it was a red 2.0T, don't know the exact trim but it wasn't the Sport. Liked it a lot. Unfortunately was in a hurry so didn't snap pictures. Let's just say the in-person impressions match up pretty nicely with photos. Going out on a limb here. Sat in the G70 (again) yesterday at Square One mall. They had three models at the dealer. Later at Lexus, sat in the IS while checking out the UX. And just two days after sitting in the C at MB on Sat. Have to admit I was wrong, the G70 is the winner. ^^^ nice... it seems to be winning accolades all over, including i just saw, automobile mag, raving about it. but given a fickle market, and limited supply thus far in the u.s., ute-craziness, numbers may still be poor, for a while at least. Going out on a limb here. No problem. In this case it's a strong limb. Have to admit I was wrong, the G70 is the winner. Did you notice how solid and polished everything felt? More than anything, that is the hallmark of today's Korean-built vehicles. Now, I'm not saying they are the best at everything, or that they are the vehicles for everyone. For the money, I still like the Lacrosse's seating and riding comfort. But it you want a solidly-built vehicle at a reasonable price, it's hard to beat the Koreans right now. mmmm. The materials were not what sold me. The Lexus and MB models were just as well put together. Where I started to notice was with Bitkahuna post in another thread that explained how there was dual AUTO, dual fan settings etc for the front HVAC. As well with the Toyota cost cutting post that I started which was reluctantly closed. When applied with this thought process and thinking regarding the G70, the overall user experience of the G70s interior seems a little more pleasing. Add in the idea that luxury should imply ease of use, it makes a little more sense. There are definitely some criticisms of the G70. The ride and all they of each are probably competitive with each other. From what I understand, the G70 2.0 is last place when compared with each of its rivals. You need to step up to the 3.5 to really stand out. Last edited by LexsCTJill; 02-12-19 at 05:28 PM. Good for Hyundai, maybe this will compel Lexus to build a great 4IS. 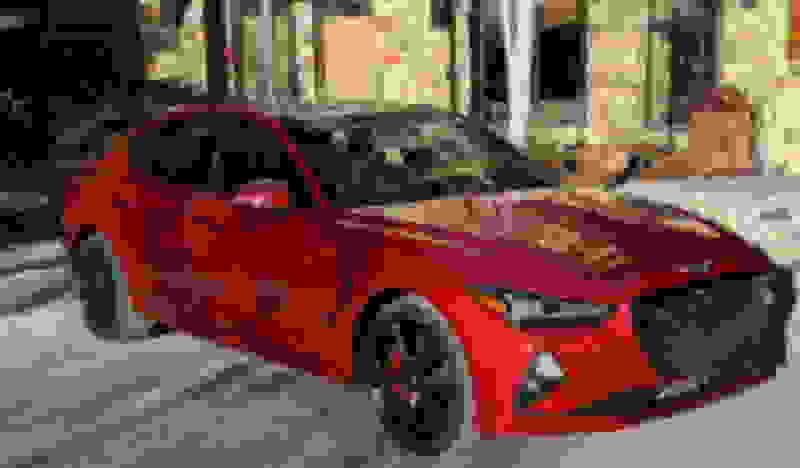 Hyundai is on their heels and probably the brand most likely they will take market share from since many of Lexus's clientele are price conscious and the Genesis makes a great bargain proposition. There's still something about the G70 exterior design and interior layout that doesn't implore me to consider this car. Just for the record. Hyundai is actually losing market share. But yes, they make a good product. Well i’m not in florida but finally saw one in person parked right up front in valet at this fancy hotel... me likey. Sweet red! Still don't care for the G70 exterior design. But inside is top notch! What do you mean by proper critique? This seemed like a general review with pros and cons and opinions. Not bad overall.